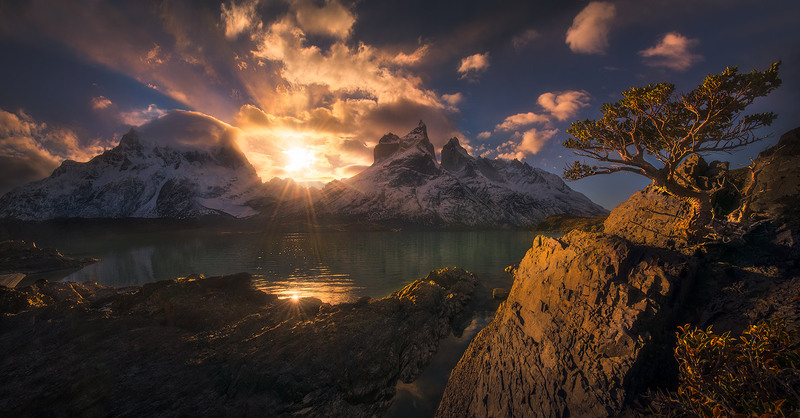 A lone wind-shaped tree stands in front of Torres Del Paine peaks, in Chile. . Photo © copyright by Marc Adamus.